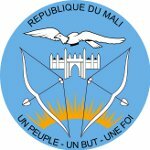 January 20 is Armed Forces Day in Mali. Malian army was founded on October 10, 1960, and it plays a very important role in keeping peace in the Republic of Mali. Mali's Armed Forces are comprised of the Army, Gendarmerie, Air Force, National Guard and National Police. All the units of the army are controlled by the Minster of Armed Forces and Veterans. Nowadays Mali is an important and active contributor to peacekeeping in Central and West Africa. The army of Mali collapsed in 2012 during the war against Tuareg, but it struggled to maintain its size. Today it is organized into two tank battalions, four infantry battalions, one airborne battalion, one Special Forces battalion, two artillery battalions and one engineer battalion. The Army also controls the small navy, that counts about 130 sailors and 3 river patrol boats. The Joint Military School and Alioune Blondin Beye Peacekeeping Training School are two the most significant training establishments for Malian soldiers.